Check back soon for 2019 dates, location and time. 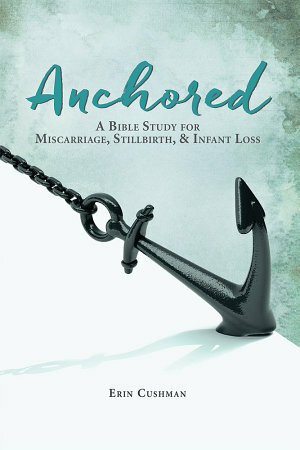 This 6-week interactive Bible study for Miscarriage, Stillbirth and Infant Loss: Anchored by Erin Cushman, will be offered on Tuesday mornings, Jan 9-Feb 13, 10:00-11:30 at All About Cha in Downtown OKC. Please rsvp to: melanie@kidsjoiningeternity.org if you are interested. Any other questions, please call (405) 802-5739. One in four pregnancies ends in devastating loss. Grief hits like a tidal wave, as endless questions batter your soul. Anchored invites you to grieve in an honest and faith-filled way. With personal stories, seasoned insight, and gentle questions, you are invited to lay our deepest hurt at the foot of the cross and allow God to anchor your brokenness.